we're seeking submissions for the chance to be selected as the Official Artwork for the 2019 Iroquois Steeplechase. The primary beneficiary of the Iroquois Steeplechase is the Monroe Carell Jr. Children's Hospital at Vanderbilt, and this contest furthers our commitment to fostering the success of children in our community. The contest is open to all youths, ages 8 to 19. All 2D media is acceptable including but not limited to oil, acrylic, charcoal, pencil, watercolor. 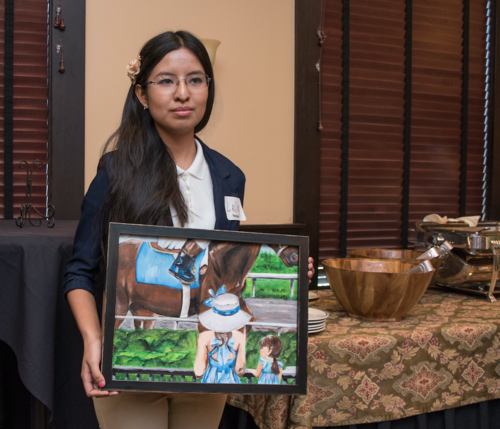 The theme is equine, but horses do not need to be the main subject. The artwork should represent the vibrant energy of Race Day. The original artwork must be at least 8”x10” or larger. A picture of the completed piece must be submitted electronically to info@iroquoissteeplechase.org. Include “Art Contest” in the subject line. A completed Entry/Release Form must also be submitted. A printable form can be downloaded here. 3 or more finalists will be selected. The original artwork will be requested from the chosen finalists for the Featured Artist selection. The chosen artist will receive 4 box seat armbands and a parking pass to the 2019 Iroquois Steeplechase. 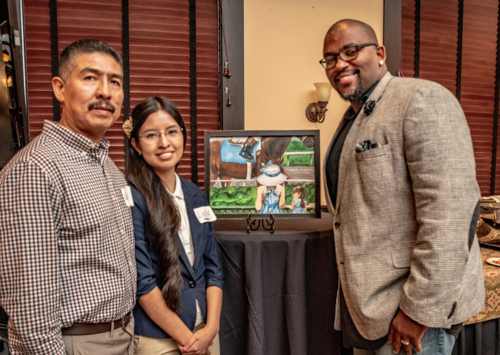 The chosen Artwork will be unveiled at the 2019 Spring Kick off luncheon, and the artist will also be invited to attend.